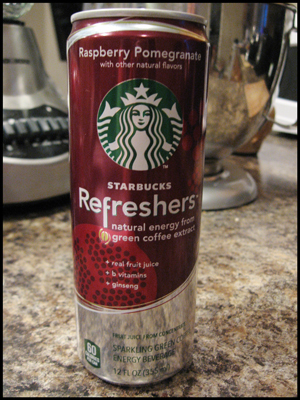 I love those Starbucks Refreshers. I'm with you, I'd rather longer races but the occasional 5k is a nice thing to do as it doesn't take too much time! That's a great run with the jogging stroller! I'd be happy with that time WITHOUT the jogger. Oh, this gives me hope for running our first 5k with Susanna in the stroller. Cherry Days- 4th of July- smart 7am race start. I normally don't like road running, but $15 entry fee that benefits local parks and rec was worth it. I hope you all hung in there for Father's Day. I remember those days when my Dad was gone in the Navy. Thank you to your hub for his service. I'm glad to hear Eli and I can encourage other stroller runners :) You will do great! I'm still pretty new to the jogging stroller world, but it's been great so far. It so beats trying to find a sitter anytime I want to go for a run! I will pass the word on to him when he gets back :) We miss him, but I keep reminding myself that I need to be thankful he's in the same country as us. We haven't gone through a deployment yet (or hopefully ever); it has to be so hard on the family left at home and the soldier serving. Thank you to your dad for his service! Just found you via New Moms Talk. Agree that 5Ks are brutal! Add the stroller & it's a whole new level of UGH! At least it's over quickly! Very true - they are done much quicker than a marathon! Really, I think any race can be brutal if you go all out. I even hated running the one-mile for time when I was in college!